The local Capital District Towing serves you within 30 minute response time in most areas of Albany. The closer the cheaper. Call us now! Capital District Towing, originally Pete's Auto Transport, was started by Peter Cary in 2003 after working in the towing industry for others for many years. With over 13 years of experience at the time, he decided to start his own towing service to fill what he perceived to be a gross lack of customer service by the towing industry. Your review helps to choose cheap towing and roadside assistance services near Albany. Click an icon on the map and get a phone number of the closest wrecker service near Albany! 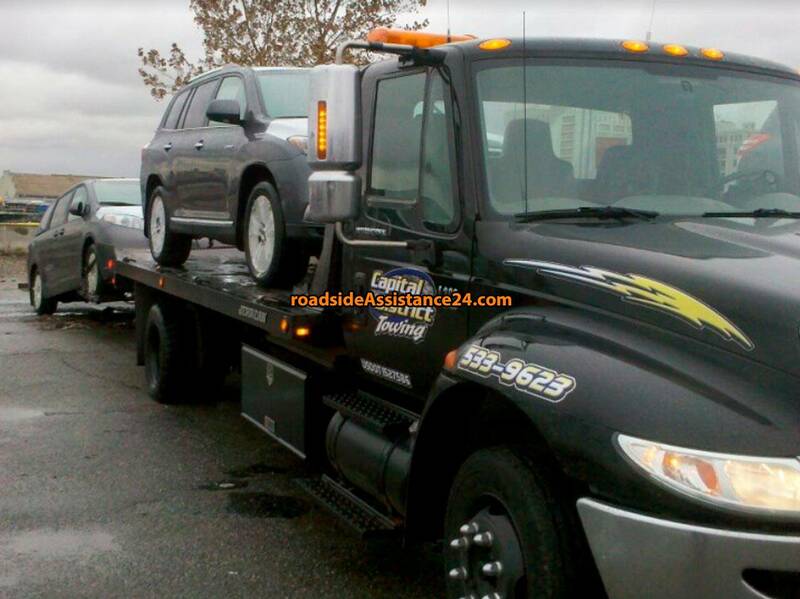 Install mobile application Roadside Assistance 24 and get the phone numbers of the closest towing and roadside assistance services near Albany.